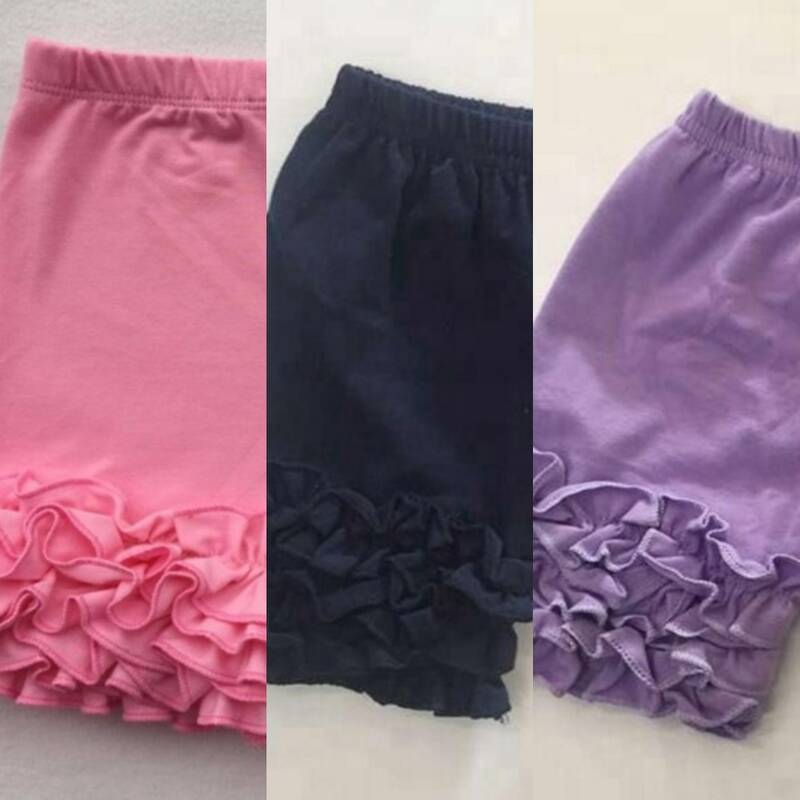 Ruffle Shorts, Playground Shorts, Girls Clothes, Little Girls, Icing Ruffle Shorts, Cotton Toddler Bloomers, Layering Icing Ruffles. For everyday layering and modesty needs. 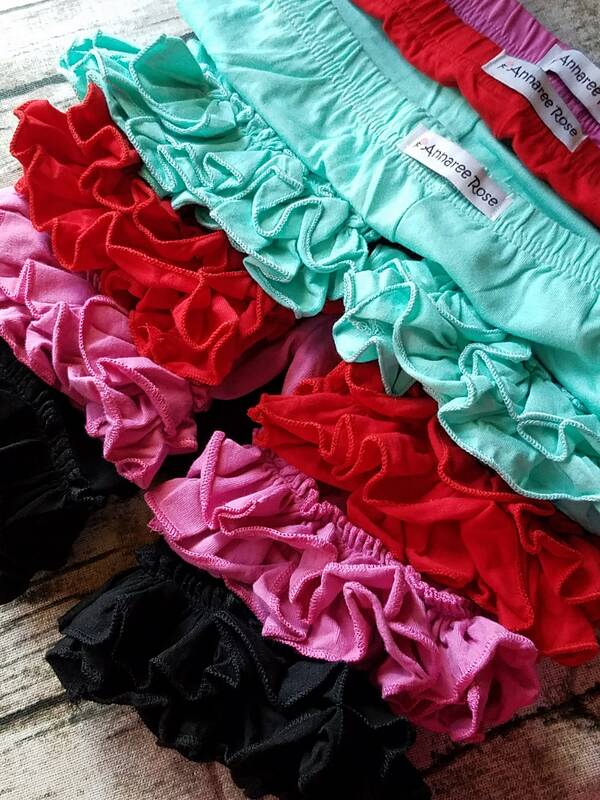 Absolutely adorable under dresses! 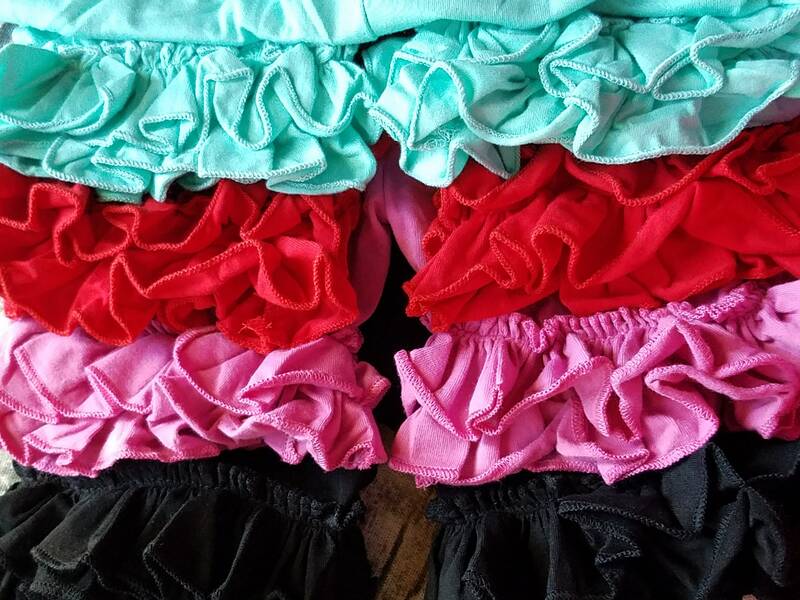 (other colors available in another listing) Checkout the listings for capris and leggings in other colors for more under dress options! 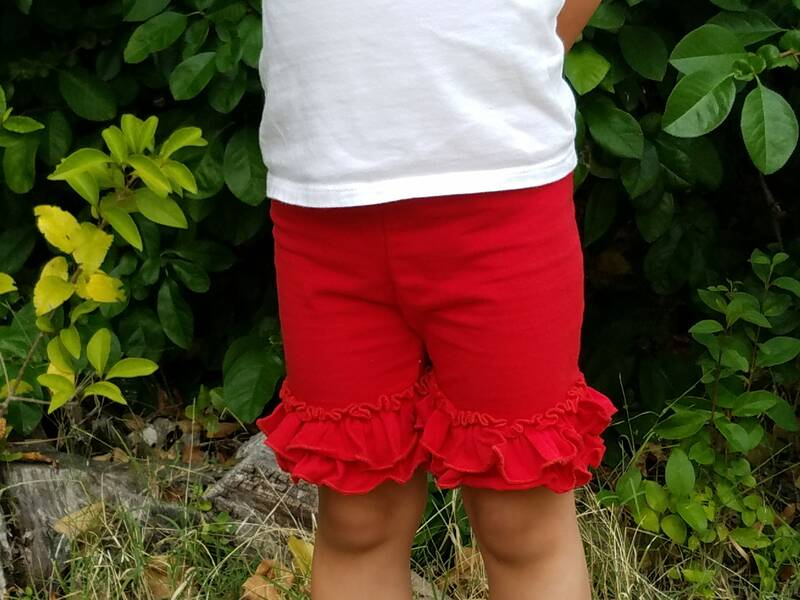 Little Girls Soft Cotton, Double Ruffle, Toddler / Girls Shorts, Layering Shorts. 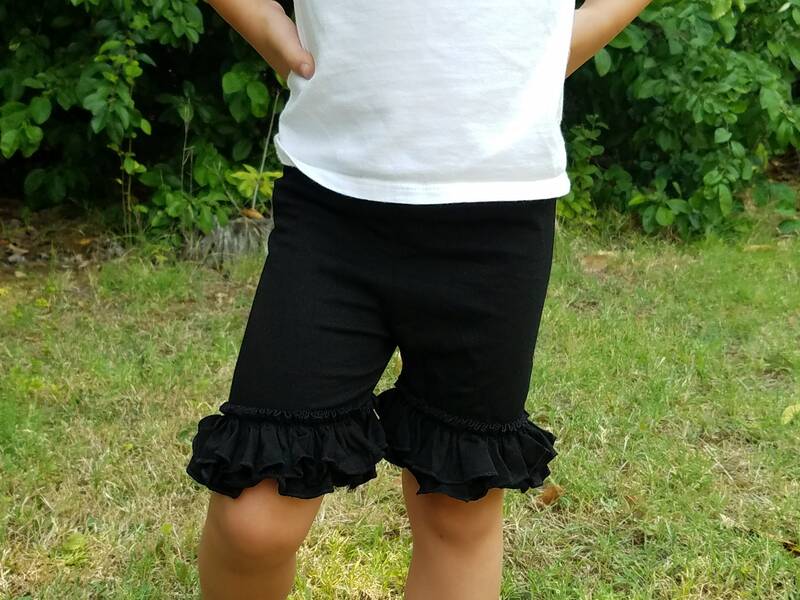 These ruffle shorts are perfect for everyday wear and any special occasion for the little diva in your life! 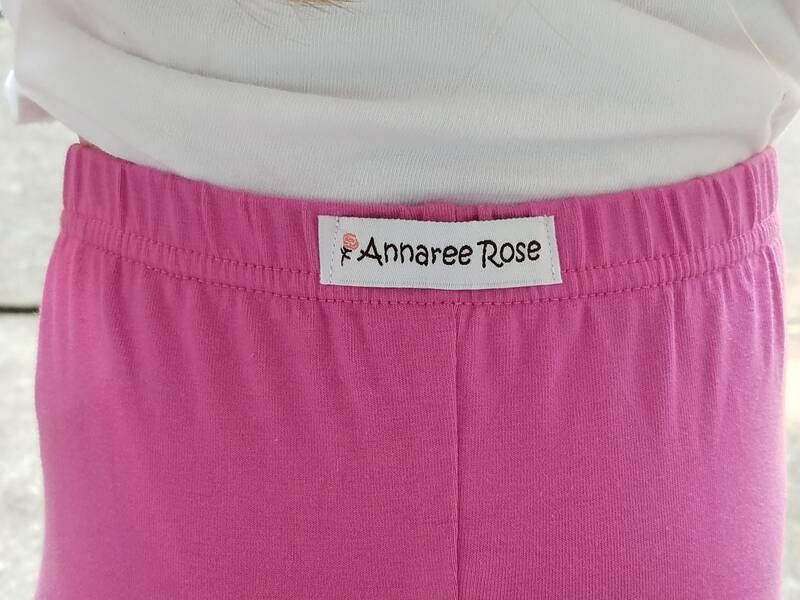 Boutique Baby, Toddler, Little Girls Layering shorts/pants also great for diaper covers. 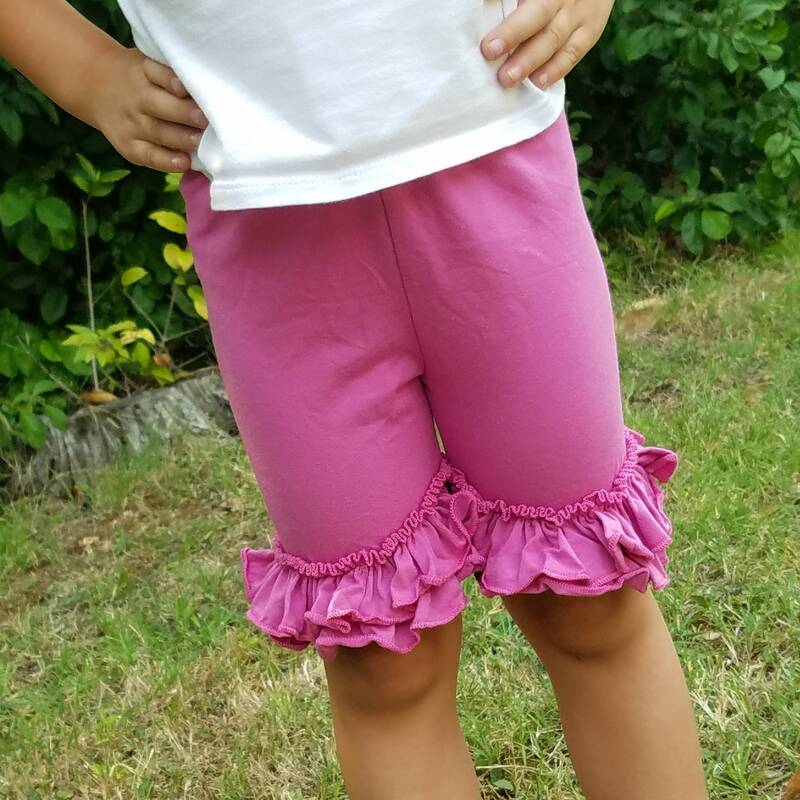 Soft cotton Double Ruffle layering / playground modesty shorts. 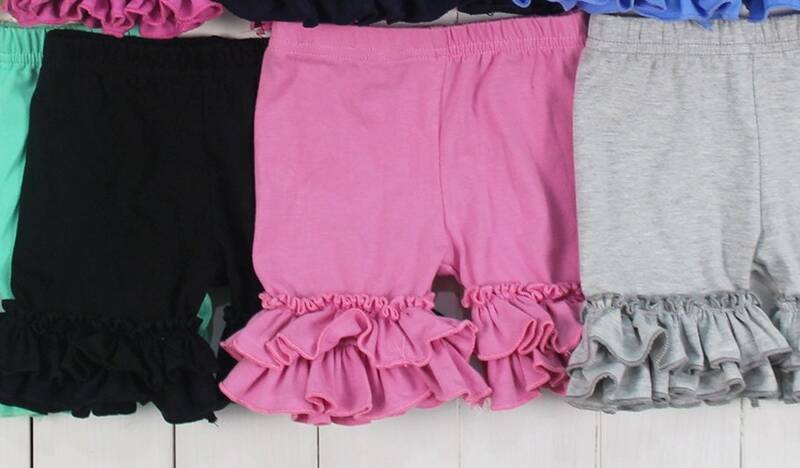 Although the description mentions pants (which I was searching for, and obviously didn’t read thoroughly enough), I received shorts. I also sent a message immediately after I ordered for change of address, didn’t receive a response until awhile after they were already mailed to the incorrect address. I won’t shop here again, bc there are too many others to choose from for the same price and better care. This is my first and only bad review. I’ve never given one before, and was hesitant in doing so, but i really wouldn’t want to be in this situation again. 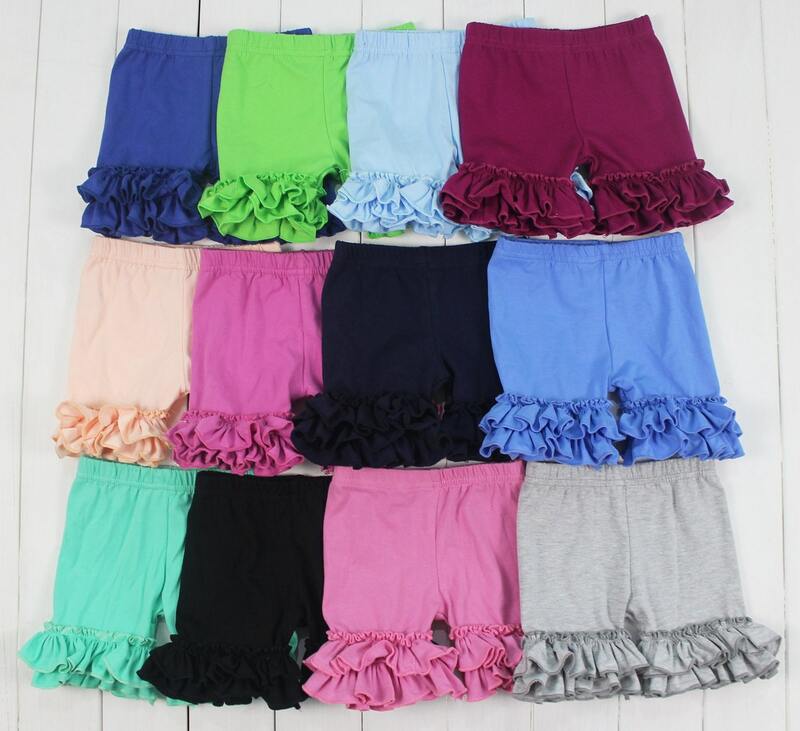 Super cute ruffle shorts! Seller responded to questions quickly and shipping was really fast as well! Thank you!